New Mexico festivals and events – Here is your complete list of the top New Mexico festivals and events for 2018 to 2019! The complete festival directory. If you have an event to add to this list, you can do so free, by using the link in the menu bar for submitting your event. Top New Mexico festivals and events rated by desirability and interest. Highest rated available for 2018 events and festivals in New Mexico. Great job in this great state. Top New Mexico festivals and July music festivals and art festivals this summer. Albuquerque Road Runners Women’s Distance Festival 5K in Albuquerque, NM is a unforgettable festival you don’t want to miss today. Pork and Brew New Mexico BBQ State Championship in Rio Rancho, NM is a amazing food festival you don’t want to miss today. Mariachi Spectacular de Albuquerque in Albuquerque, NM is a great celebration you don’t want to miss today. Lavender in the Village Festival in Los Ranchos de Albuquerque, NM is a unforgettable food festival you don’t want to miss today. Tequila Taco and Cerveza Fest in Las Cruces, NM is a unforgettable art festival you don’t want to miss today. Edgewood Arts and Music Festival in Edgewood, NM is a amazing culture festival you don’t want to miss today. Bi-County Fair – The Bi-County Fair is a great event held in Prewitt on September 01, 2018 to September 05, 2018. Cottonwood Festival – The Cottonwood Festival is a great event held in Alamogordo on September 02, 2018 to September 04, 2018. Wagon Mound Bean Day – The Wagon Mound Bean Day is a great event held in Wagon Mound on September 02, 2018 to September 05, 2018. Totah Festival – The Totah Festival is a great event held in Farmington on September 03, 2018 to September 04, 2018. Hatch Chili Festival – The Hatch Chili Festival is a great event held in Hatch on September 03, 2018 to September 04, 2018. All American Gun and Western Collectible Trade Show – The All American Gun and Western Collectible Trade Show is a great event held in Ruidoso on September 03, 2018 to September 04, 2018. Harvest Wine Festival – The Harvest Wine Festival is a great event held in Las Cruces on September 03, 2018 to September 05, 2018. Santa Fe Fiesta Labor Day and Fiesta Show – The Santa Fe Fiesta Labor Day and Fiesta Show is a great event held in Santa Fe on September 03, 2018 to September 11, 2018. New Mexico State Fair – The New Mexico State Fair is a great event held in Albuquerque on September 08, 2018 to September 18, 2018. 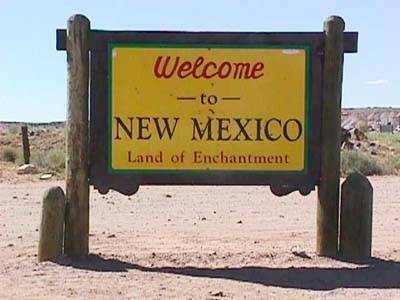 Enchantment Arts and Crafts Shopping Bazaar – The Enchantment Arts and Crafts Shopping Bazaar is a great event held in Albuquerque on September 08, 2018 to September 18, 2018. Pinatafest – The Pinatafest is a great event held in Roswell on September 09, 2018 to September 11, 2018. Rio Costilla Studio Tour – The Rio Costilla Studio Tour is a great event held in Costilla on September 09, 2018 to September 11, 2018. Enchanted Circle Century Bike Tour – The Enchanted Circle Century Bike Tour is a great event held in Red River on September 10, 2018 to September 11, 2018. Diez y Seis de Septiembre Fiesta – The Diez y Seis de Septiembre Fiesta is a great event held in Mesilla on September 17, 2018 to September 18, 2018. Santa Fe Renaissance Fair – The Santa Fe Renaissance Fair is a great event held in Santa Fe on September 17, 2018 to September 18, 2018. Globalquerque! Celebration of World Music and Culture – The Globalquerque! Celebration of World Music and Culture is a great event held in Albuquerque on September 23, 2018 to September 24, 2018. Aspencade Arts and Crafts Show Steampunk Style – The Aspencade Arts and Crafts Show Steampunk Style is a great event held in Red River on September 23, 2018 to September 25, 2018. Cathedral Park Show – The Cathedral Park Show is a great event held in Santa Fe on September 24, 2018 to September 25, 2018. Southern New Mexico State Fair and Rodeo – The Southern New Mexico State Fair and Rodeo is a great event held in Las Cruces on September 28, 2018 to October 02, 2018. Meadow City Music Festival – The Meadow City Music Festival is a great event held in Las Vegas on September 29, 2018 to October 02, 2018. Rio Grande Arts and Crafts Festival – Balloon Fiesta Show – The Rio Grande Arts and Crafts Festival – Balloon Fiesta Show is a great event held in Albuquerque on September 30, 2018 to October 09, 2018. Here are your top New Mexico festivals and top things to do in January. 2018 best events and things to do in NM. Vote on yours today in the comments section. Treasures of the Earth – will be held at New Mexico State Fairgrounds in Albuquerque, NM and held on March 16, 2018 to March 18, 2018. Cowboy Days – will be held at New Mexico Farm and Ranch Heritage Museum in Las Cruces, NM and held on March 3, 2018 to March 4, 2018. Visionary Arts and Crafts Guild Spring Show – will be held at Pongal Event Center in Rio Rancho, NM and held on March 24, 2018. Las Cruces Arts Fair – will be held at Convention Center in Las Cruces, NM and held on March 16, 2018 to March 18, 2018. National Fiery Foods and Barbecue Show – will be held at Sandia Resort and Casino Events Center in Albuquerque, NM and held on March 2, 2018 to March 4, 2018. Rio Grande Arts and Crafts Festival – Spring Show – will be held at EXPO New Mexico State Fairgrounds in Albuquerque, NM and held on March 9, 2018 to March 11, 2018. Here are your top New Mexico art festivals, music festivals, Cinco de Mayo events and much more. NAMIWalks in Albuquerque, NM is a unforgettable culture festival you don’t want to miss today. Roswell Cinco de Mayo in Roswell, NM is a unforgettable fest you don’t want to miss today. Smokey Bear Days in Capitan, NM is a unbelievable festival you don’t want to miss today. Truth Or Consequences Fiesta in Truth Or Consequences, NM is a amazing music festival you don’t want to miss today. Mesilla Cinco de Mayo Celebration in Mesilla, NM is a unforgettable fair you don’t want to miss today. Northern New Mexico Spring Arts and Craft Fair in Los Alamos, NM is a amazing art festival you don’t want to miss today. Hobbs Cinco de Mayo Celebration in Hobbs, NM is a great food festival you don’t want to miss today. Senior Connection – Las Cruces in Las Cruces, NM is a unforgettable food festival you don’t want to miss today. Herbfest in Albuquerque, NM is a amazing music festival you don’t want to miss today. Mama’s Minerals Alternative Health Fair in Albuquerque, NM is a great music festival you don’t want to miss today. AspenCash Motorcycle Rally in Mescalero, NM is a amazing culture festival you don’t want to miss today. Los Alamos Summer Concert Series in Los Alamos, NM is a unforgettable fest you don’t want to miss today. Taos Lilac Festival in Taos, NM is a great festival you don’t want to miss today. Taos Spring Arts and Crafts Fair in Taos, NM is a great music festival you don’t want to miss today. Twenty-Sixth Eldorado Studio Tour in Eldorado at Santa Fe, NM is a great music festival you don’t want to miss today. Eldorado Studio Tour in Santa Fe, NM is a unforgettable festival you don’t want to miss today. Red River High Mountain Half-Marathon and 5k in Red River, NM is a unbelievable art festival you don’t want to miss today. Rio Grand Valley Celtic Festival in Albuquerque, NM is a great art festival you don’t want to miss today. Rio Grande Valley Celtic Festival and Games in Albuquerque, NM is a unforgettable fair you don’t want to miss today. New Mexico Festival of Asian Cultures in Albuquerque, NM is a unforgettable festival you don’t want to miss today. Memorial Day Motorcycle Rally in Red River, NM is a amazing fest you don’t want to miss today. Red River Memorial Day Motorcycle Rally in Red River, NM is a amazing art festival you don’t want to miss today. Riverfest Arts and Crafts Show in Farmington, NM is a unbelievable art festival you don’t want to miss today. Silver City Twenty-Second Bluesfestival in Silver City, NM is a amazing music festival you don’t want to miss today. Wind Rider Music Festival in Alto, NM is a amazing celebration you don’t want to miss today. Albuquerque Wine Festival in Albuquerque, NM is a amazing fair you don’t want to miss today. Cathedral Park Memorial Day Weekend Show in Santa Fe, NM is a amazing fair you don’t want to miss today. Cloudcroft’s Mayfair in Cloudcroft, NM is a unbelievable fair you don’t want to miss today. Las Cruces Wine Festival in Las Cruces, NM is a unbelievable art festival you don’t want to miss today. Memorial Day Weekend Arts and Craft Show in Taos, NM is a amazing music festival you don’t want to miss today. ABQ Blues and Brews in Albuquerque, NM is a unforgettable celebration you don’t want to miss today. Raindrop Foundation Turkish Festival in Albuquerque, NM is a unbelievable festival you don’t want to miss today. Wildlife West Nature Park Wind Festival in Edgewood, NM is a amazing food festival you don’t want to miss today. Here are your top New Mexico festivals in June. Rockabilly on the Route in Tucumcari, NM is a unbelievable celebration you don’t want to miss today. Festival Flamenco Internacional de Albuquerque in Albuquerque, NM is a amazing food festival you don’t want to miss today. New Mexico Classical Guitar Festival in Albuquerque, NM is a unforgettable art festival you don’t want to miss today. Balloons Over Angel Fire in Angel Fire, NM is a unforgettable culture festival you don’t want to miss today. Habla Tamale Cook-off and Festival in Angel Fire, NM is a great festival you don’t want to miss today. Warped Tour in Albuquerque, NM is a great fest you don’t want to miss today. Festival Chispa in Albuquerque, NM is a unbelievable fair you don’t want to miss today. Wildlife West Nature Park Wildlife Festival in Edgewood, NM is a unforgettable food festival you don’t want to miss today. Albuquerque Film and Music Experience in Albuquerque, NM is a unforgettable festival you don’t want to miss today. Albuquerque PrideFest in Albuquerque, NM is a great art festival you don’t want to miss today. Albuquerque Folk Festival in Albuquerque, NM is a amazing art festival you don’t want to miss today. Rancho de las Golondrinas Spring Festival and Fiber Arts in Santa Fe, NM is a amazing fest you don’t want to miss today. Red River Classic Car Show in Red River, NM is a great festival you don’t want to miss today. Fort Sumner Old Fort Days in Fort Sumner Nm, NM is a unforgettable food festival you don’t want to miss today. Santa Fe Plaza Arts and Crafts Festival in Santa Fe, NM is a unbelievable fest you don’t want to miss today. End of Trail in Edgewood, NM is a unbelievable festival you don’t want to miss today. Balloons Over Angel Fire in Angel Fire, NM is a unforgettable festival you don’t want to miss today. Heritage Days in Portales, NM is a great fair you don’t want to miss today. Red River Fine Art and Wine Festival in Red River, NM is a amazing music festival you don’t want to miss today. Celtic Festival in Mountainair, NM is a unforgettable food festival you don’t want to miss today. High Rolls Cherry Festival in High Rolls, NM is a unbelievable culture festival you don’t want to miss today. Aztec Fiesta Days in Aztec, NM is a amazing culture festival you don’t want to miss today. New Mexico Arts and Crafts Fair in Albuquerque, NM is a unforgettable festival you don’t want to miss today. Smokin’ on the Pecos NM State BBQ Championship in Artesia, NM is a amazing music festival you don’t want to miss today. Mac and Cheese Festival – Aztec in Aztec, NM is a amazing music festival you don’t want to miss today. Farmington Freedom Days in Farmington, NM is a unforgettable fair you don’t want to miss today. Check back for all the top events in 2018. New Mexico January rocking festivals and events! 4 Responses to "2018 New Mexico festivals and top 145 events and art shows"
Most of Las Cruces’s cultural events occur late in the year. The Border Book Festival occurs the last weekend in April. The city hosts two wine festivals annually. The Harvest Wine Festival is held over Labor Day weekend, and features wines from New Mexico wineries; a grape stomping contest; several concerts throughout the weekend; food from several local vendors; and related shopping. The Southern New Mexico Wine Festival is held over Memorial Day weekend and also exclusively features New Mexico wines, local foods, and live music. Additionally, the Southern New Mexico Wine Festival features the University of Wine, short educational sessions which teach patrons about proper food and wine pairings. Both festivals are held at the fairgrounds just west of the city. The Whole Enchilada Fiesta is held the last weekend in September. It attracts roughly 50,000 attendees each year. The centerpiece is the making of a large flat enchilada. The fiesta started in 1980 with a 6-foot (1.8 m) diameter enchilada, and it has grown over the years. In 2000 the fiesta’s 10 1⁄2-foot-diameter (3.2 m) enchilada was certified by Guinness World Records as the world’s largest. After the enchilada is assembled it is cut into many pieces and is distributed free of charge to the fiesta attendees. The enchilada is the brainchild of local restaurant owner Roberto V. Estrada, who directs its preparation each year. The celebration also features a parade, the Whole Enchilada Fiesta Queen competition, a huachas tournament, activities for kids, live music, an enchilada eating contest, a 5 kilometer road race, a one mile race, and a car and motorcycle show. Another popular fall event, the Hatch Chile Festival in nearby Hatch, NM, is held Labor Day Weekend to celebrate the new chile crop. The event includes music, food booths, chile cook-offs, chile eating contests, and a carnival. The local Day of the Dead (Día de los Muertos) originated in Mexico, and is a celebration of the lives of those now dead. It is held November 1–2 by The Calavera Coalition, a nonprofit organization. The event is held at the plaza in Mesilla, and the Branigan Cultural Center in downtown Las Cruces. Every year in October, Las Cruces holds a pumpkin harvest festival in Mesilla for the whole month of October. On Halloween, The Mesilla Valley Mall holds day of the walking dead where zombies walk around the mall. The Renaissance ArtsFaire, founded in 1971, includes a juried art show and is put on the by the Doña Ana Arts Council each year in November. It is held at Young Park. Cinco de Mayo celebration is held May 3–4. “Fifth of May” is spanish for Cinco de Mayo which is the celebration of Mexican Heritage and pride that is celebrated in the United States and Mexico Held in Mesilla, NM. This event provides arts and crafts, and food vendors, Mexican music which brightens the night with fun. The Last Cruces Game Convention now known as CrucesCon, is an annual event where gamers compete in high level tournaments and free play games. The LCGC is a non-profit event with 100% of the proceeds going towards the community, equipment, and future events. One last major event held annually in the Las Cruces area is the lighting of the Mesilla Plaza. Every Christmas eve, the historic plaza of Mesilla is lined with thousands of luminarias, which are brown bags containing candles and weighted sand. The evening consistently attracts both locals and tourists. Albuquerque New Mexico festivals and events have some great celebrities show up each year. 27th festival Of The Cranes fest will be holding a Billy the Kid in Las Cruces New Mexico cross event.